EMERGENCY RESTRICTION ON TAN SPRAY! The tragic emergency situation has been held back from the news for as long as possible so as to not spread public fear and risk riots at the local gyms and salons. However, before it is too late, we have to note the tragic truth. Tanning spray is running low! Who can tell why we've found ourselves in diminishing supply. Could some powerful celebrity have bought up all the product in order to maintain that seemingly natural orange glow for all those important appearances he has? Who knows!? Fortunately, for all your orange-needs, we have this perfect product securely stored just for you. This Orange Body Paint contains 3.4 ounces of the luxury semisolid to help you transform yourself into any orange-tinted look that you like. Application and removal instructions are included to make the whole process easy to become anything from a human/pumpkin hybrid seeking delicious candy or an alien conquerer with sights on the capital! 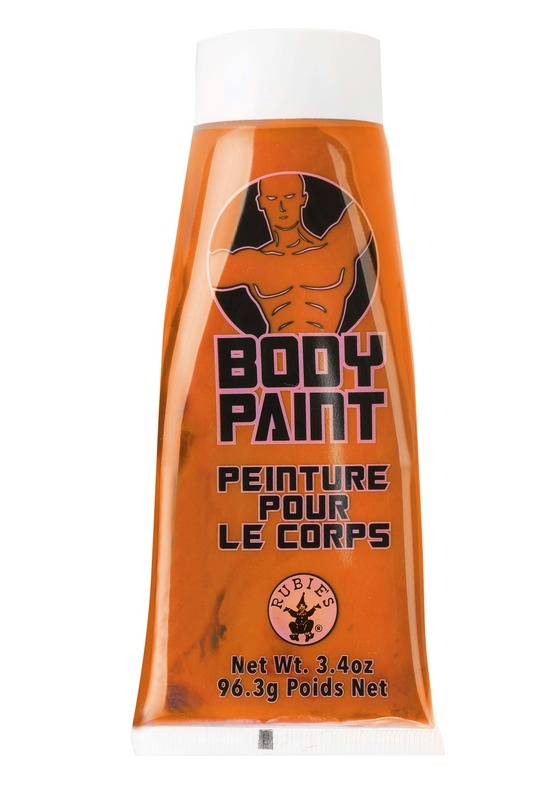 While the global tanning spray crisis may not be resolved until well the next couple years, you can be sure that your gleaming orange look is protected when you have your hands on this orange body paint.